CBT Test Birmingham takes between 6-8 hours day on one day, consisting of 5 parts. You need a valid UK provisional or full licence and be 16 years of age or older to train for your CBT Test. Book Your CBT Test in Acocks Green, Black Country, Bromsgrove, Cannock, Dudley, King’s Heath, Lichfield, Nuneaton, Redditch, Selly Oak, Solihull, Sutton Coldfield, Tamworth, Walsall and Wolverhampton. Is there a CBT Test Near Me? RideTo covers CBT Test’s in Birmingham in a range of locations including areas such as Solihull, Selly Oak, King’s Heath, Sutton Coldfield and Acocks Green that are accessible by rail and road. The main roads that are surrounding our CBT Test locations are: M6, M42, M54, M5, A38, A435, A449, A4123 and more. What does the CBT entail? 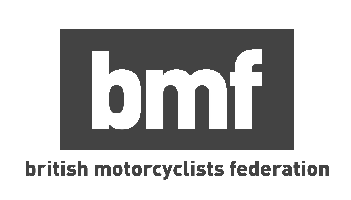 The CBT Test day is actually motorcycling training not a test. The day commences with the checks, the instructor will check your eyesight and documents before moving on to the on-site training where the CBT Test instructor will run you through the basics of the motorcycle, checking the vehicle and its controls. Following, still off-road you will proceed to learn and train some basic manoeuvres. The final part is to train and ride on road lasting up to 2 hours. What is the best moped to ride? Moped or Scooter is a very common way to get around Birmingham after your CBT Test. Our top pick is the Honda Vision 50, in our top 50cc scooters for 2018. Alternatively, Piaggio Vespa 125cc is our top choice in the best scooters and motorbikes for commuting list. From Solihull to Walsall RideTo has you covered, whether its insurance, bikes or full motorcycle licence.